If income once clubbed in one parent will always be clubbed in that parent only. However AO can tax it in other person’s income after giving opportunity of being heard. 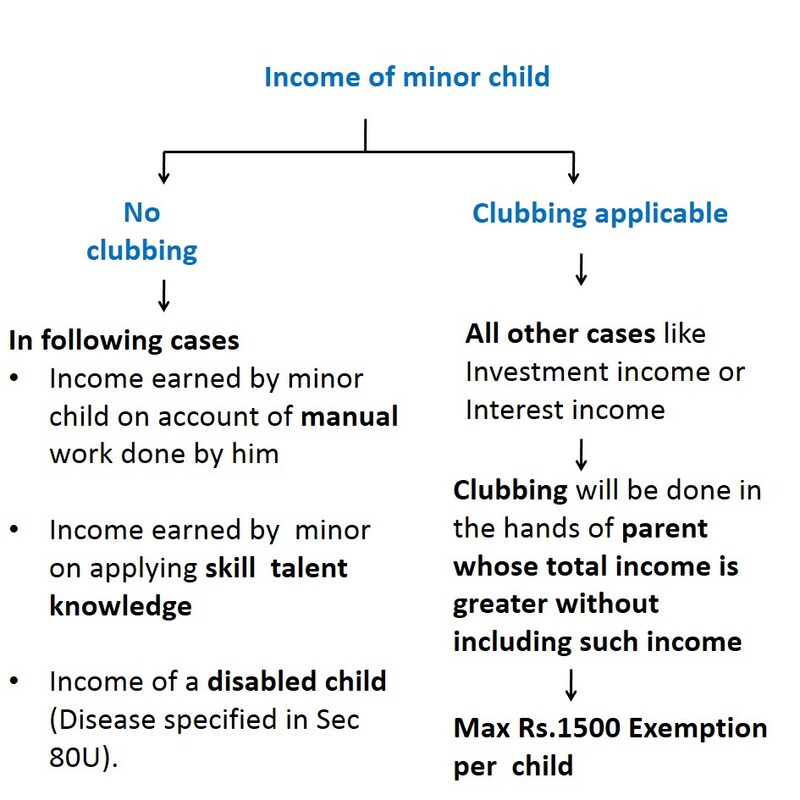 Income earned by minor on applying skill, talent or knowledge. Minor child may be married or unmarried Even married minor daughter covered . 4. In case of divorce income will be taxable in the hands of person who maintains the minor child in the previous year. Compute the total income of Mr. Dhaval and Mrs. Hetal for the Assessment Year 2016-17.